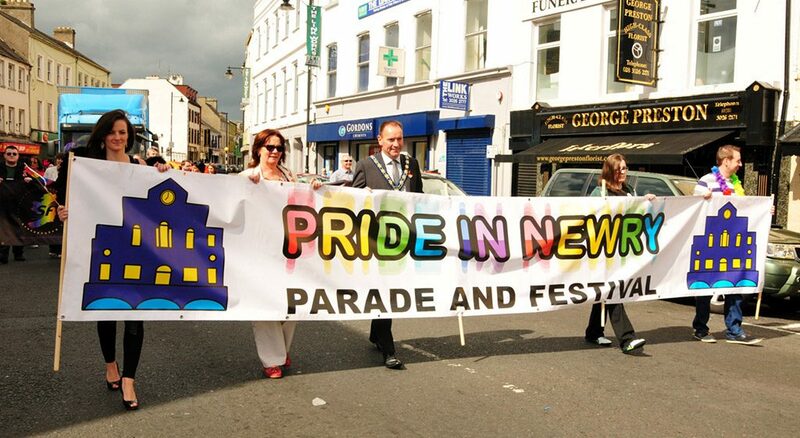 The Rainbow Project in Northern Ireland have congratulated their partners, Pride in Newry, on being chosen to host next year’s 2019 UK & Ireland Pride Festival and Parade. They say the team have worked very hard in increasing visibility and acceptance of LGBT people in Newry, and beyond. “[..] we are very excited to celebrate UK and Ireland Pride with our colleagues and friends in Newry. We are also thrilled [that] the European Pride Organisers Association (EPOA) have announced that they will be hosting their next conference in Newry in March 2019”. Pride in Newry received outstanding support from over 150 organisers of Pride events across the UK and Ireland, during the 2018 UK Pride Organisers’ Network Conference in Glasgow. “We are delighted to have won UK and Ireland Pride 2019, against a backdrop of setbacks for the LGBTQI community in the North of Ireland, we will work hard to maximise the opportunity’s this status affords us, and continue to fight tirelessly for equality in Northern Ireland”. For more information on Pride of Newry 2019, you can contact Rory Rafferty on 07731545555.